These are quick, convenient and best of all a healthy meal addition. My children loved eating their broccoli with macaroni and cheese sauce, it was complete silence during lunch time for us and that is rare. 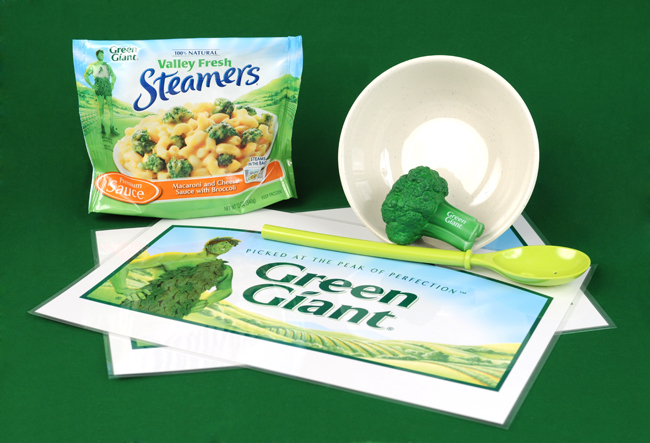 After they cleared their plates they asked for a little more, now that says SO much about how wonderful Green Giant's Fresh Steamers are! I hope you will enjoy them too. There are a couple coupons out there worth mentioning. Look in your 11-13 GM or 12-11 SS inserts to see if your region was lucky enough to get a coupon! Disclosure: Green Giant Valley Fresh Steamers with Pasta, information, and giveaway have been provided by General Mills through MyBlogSpark.